Music Director Ludovic Morlot and the Seattle Symphony perform the world premiere of Become Desert by John Luther Adams on March 29 & 31 in Benaroya Hall. Become Desert will also be performed by the Seattle Symphony on April 7, while on tour at UC Berkeley. “Most of us these days live lives in which we’re trying to hear less, retreating into our own private aural caves,” says composer John Luther Adams. After spending decades in the forests and tundra of Alaska, Adams left his home of 40 years to spend time in the deserts of Mexico and Chile. “In the desert we are challenged to open our ears again, to come out of our caves and listen to the never-ending music all around us,” he adds. On March 29 and 31, Music Director Ludovic Morlot and the Seattle Symphony present the world premiere of Adams’ Become Desert. Hailed by The New Yorker as “one of the most original musical thinkers of the new century,” Adams has won accolades for music that is visceral, breathtaking and highly innovative. Become Desert follows the Seattle Symphony’s first commission from John Luther Adams, Become Ocean, which earned the composer the Pulitzer Prize in Music in 2014. The Seattle Symphony’s recording on the Cantaloupe label received a 2015 Grammy Award® for Best Contemporary Composition. Follow along as we take you behind the scenes of the world premiere of Become Desert. We’ll update this article throughout the week with photos, videos, articles and reviews. And don’t forget to get tickets to Become Desert on March 29 and 31! 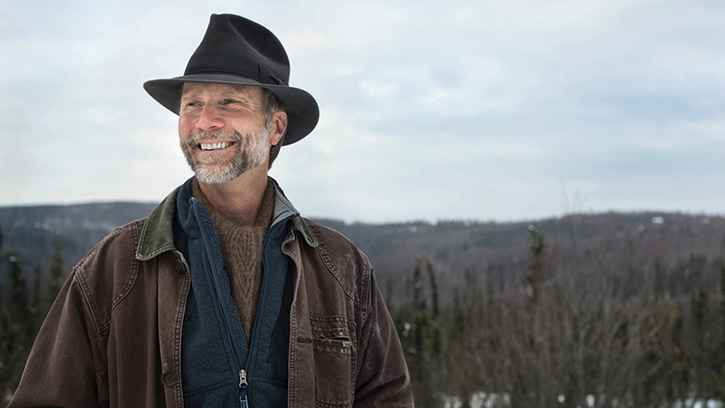 John Luther Adams writes about climate change in Alaska and ponders what landscapes will take root in our imaginations as the deserts of ice give way to warmer climates. This personal essay for The New Yorker is a preview from his upcoming memoirs. In a guest article for The New York Times, composer John Luther Adams narrates a listening guide for his new work, Become Desert. Adams also shares photos of the “secret places” in the Chilean and Mexican deserts that inspired the piece. In a preview for The Seattle Times, Thomas May documents the long relationship between the Seattle Symphony and John Luther Adams. Become Desert is Adams’ response and follow-up to his Grammy and Pulitzer-winning composition for the Seattle Symphony, Become Ocean. In a personal essay for Slate, John Luther Adams outlines the evolution and inspiration of Become Desert. After 40 years in the Alaskan wilderness, Adams found new music in the barren landscapes of the desert. In an exclusive interview for City Arts, Jonathan Zwickel asks John Luther Adams about his new piece, Become Desert, and the unique relationship he has had with Music Director Ludovic Morlot and the Seattle Symphony. Experience the world premiere of Become Desert with Music Director Ludovic Morlot and the Seattle Symphony on March 29 & 31! Become Desert is commissioned by the Seattle Symphony with the generous support of Dale and Leslie Chihuly. Become Ocean was commissioned by the Seattle Symphony with the generous support of the Lynn and Brian Grant Family.